Visit to the museum is free, Although we would gratefully receive a donation to help us with the upkeep of the museum. The machine is a single die Eurolink machine is located in the Mossman Museum. 50p plus penny each. A fascinating Museum of Transport. 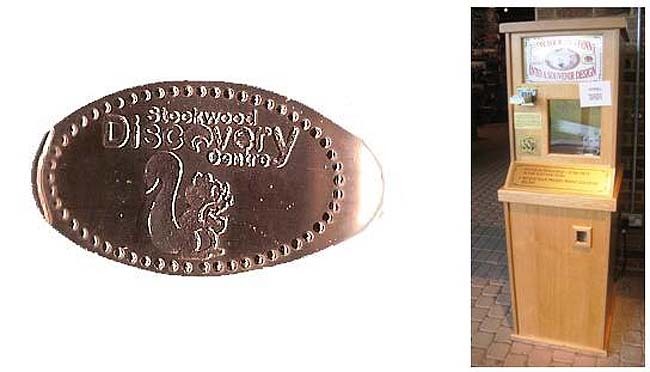 The design says Stockwood Discovery Centre with a Squirrel on. thegillion added Stockwood Discovery Centre to system.